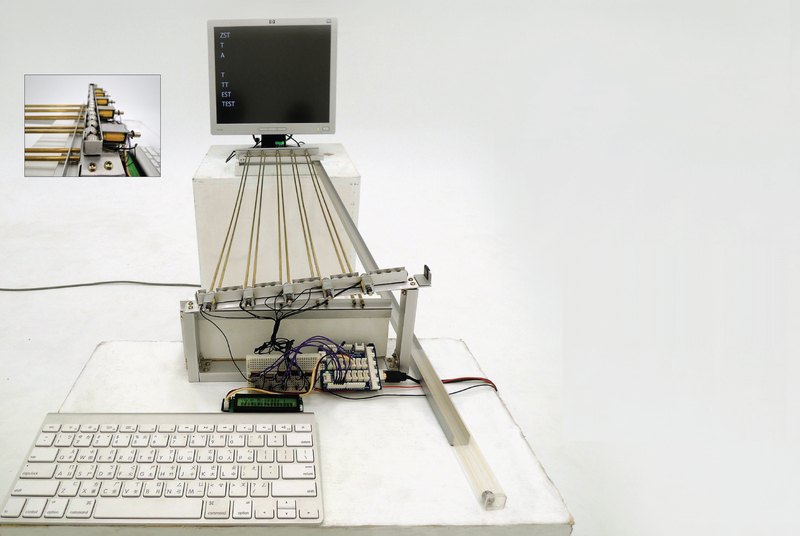 This interactive installation transforms and sends messages via mechanical parts. Using a computer keyboard and a small LCD screen, participants first type a short message. After pressing Enter, the message is sent via steel balls to a monitor located three feet away. Every five steel balls carries an encoded five-digit signal. The balls slide on steel tubes from one side to the other to send the message. The digital signals are embodied in physical entities. They are able to roll, collide, and make sounds in the real world. Participants can thus sense speed and sound, which normally don't exist in the digital world.